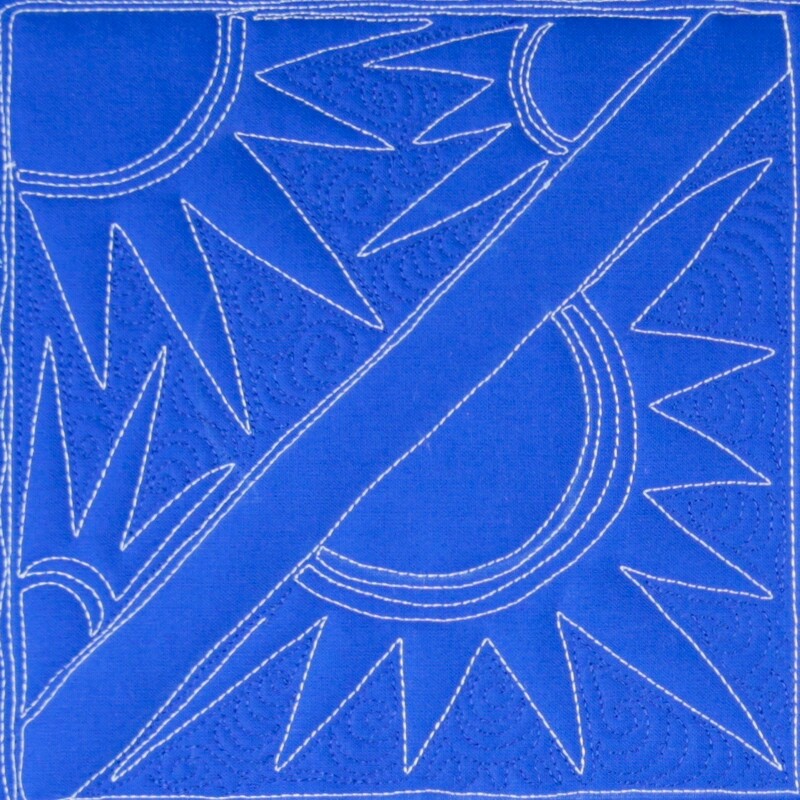 Create a wholecloth quilt using this Star quilt block design by Lori Kennedy. 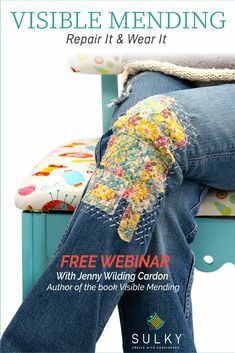 Lori Kennedy is a quilt designer, author, teacher and blogger at Lori Kennedy Quilts (formerly The Inbox Jaunt). 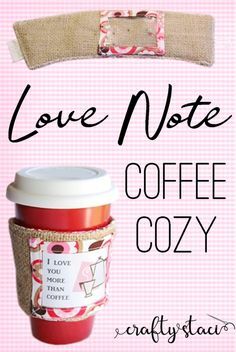 She loves personalizing quilts with machine quilted doodles. 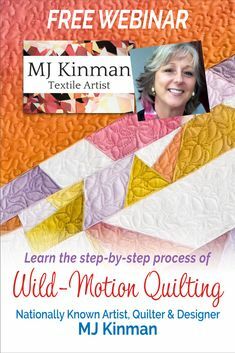 Lori is the author of Free Motion Machine Quilting 1-2-3 and More Free Motion Machine Quilting 1-2-3. 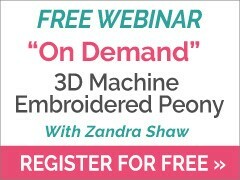 She takes the fear out of free motion quilting with easy quilting techniques and step-by-step tutorials to help every level of quilter find success with machine quilting. 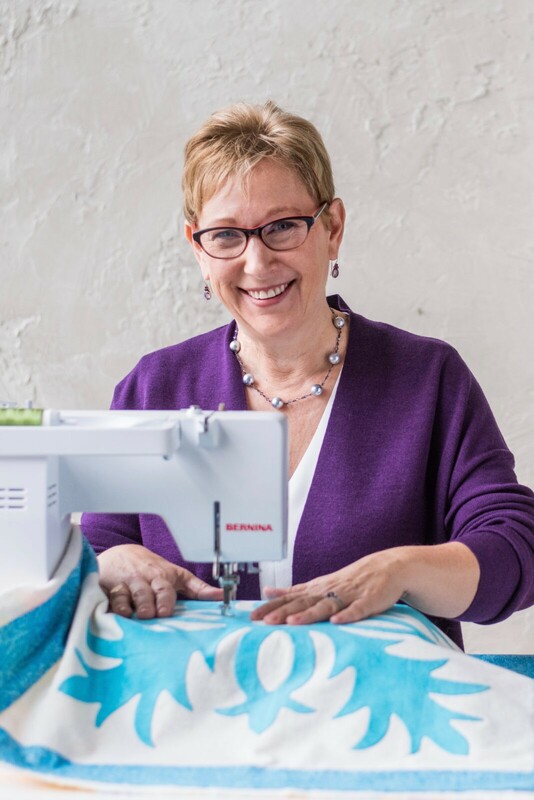 Lori is a BERNINA Ambassador, shares her tutorials in American Quilter Magazine, and has three Bluprint (Craftsy) videos on creative machine quilting. When she is not quilting or doodling, she can be found hiking the trails of Minnesota with her family, Australian Shepherd and of course, her camera! 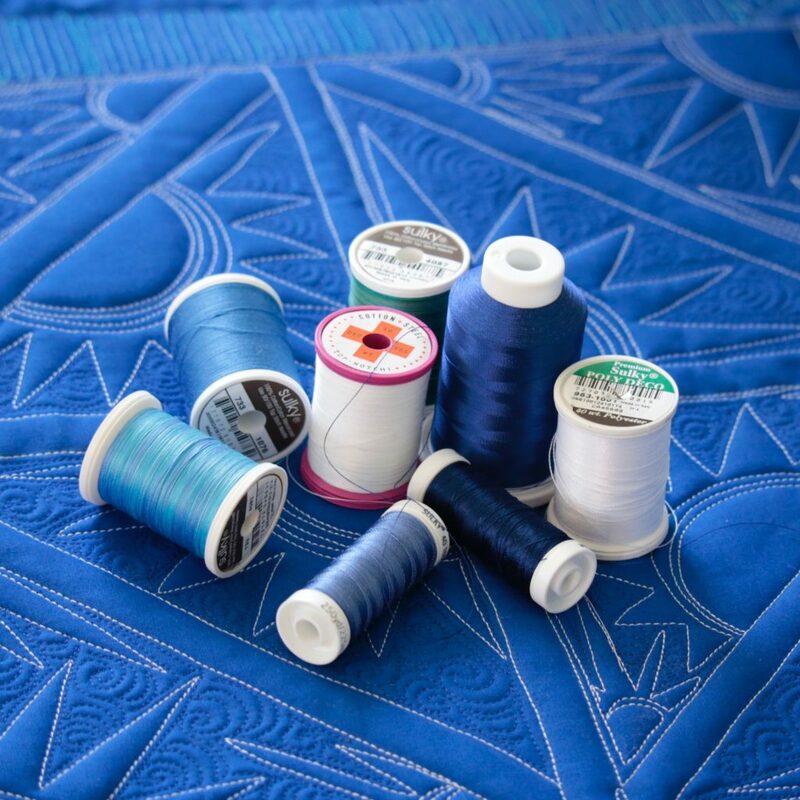 Happy National Quilting Month! 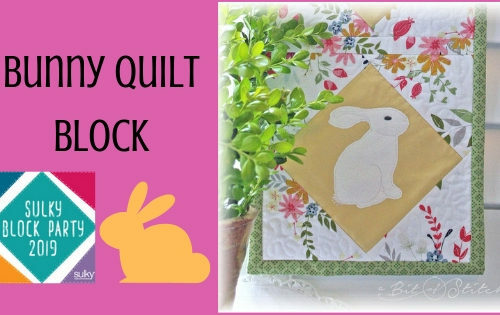 I’m delighted to share my passion for machine quilting with the Sulky Stars tutorial. Thread is to machine quilting as fabric is to piecing blocks. 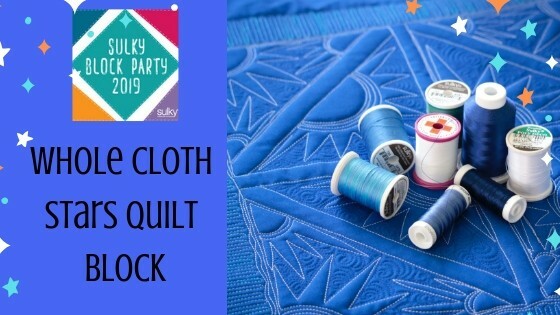 Sulky offers a full line of threads in a dazzling array of fibers and colors to create gorgeous machine quilting! Use heavy weight thread like Poly Deco 40 Wt. 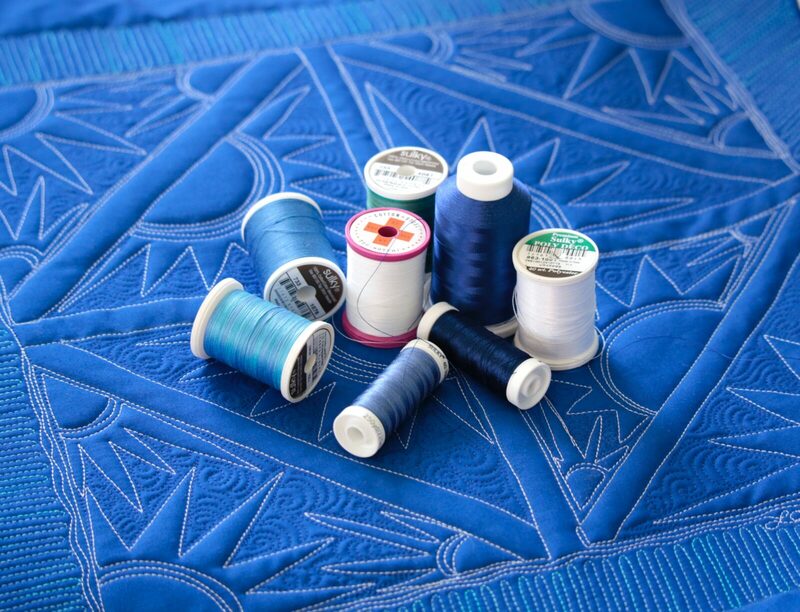 polyester to create focus motifs like the Sulky Star design or use a specialty thread like Sulky Sliver Metallic #8024 to stitch motifs that really shine. To create a subtle, background texture, choose a matching color thread with beautiful sheen like, Sulky 40 Wt. Rayon. In the bobbin, I love Cotton + Steel 50 Wt. Cotton. 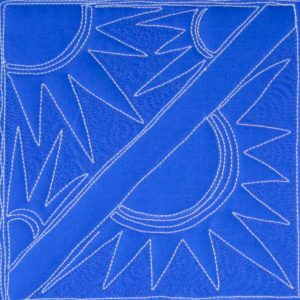 Sulky Stars is a simple machine quilting design, but when it is combined in a variety of settings the stars create complex patterns. 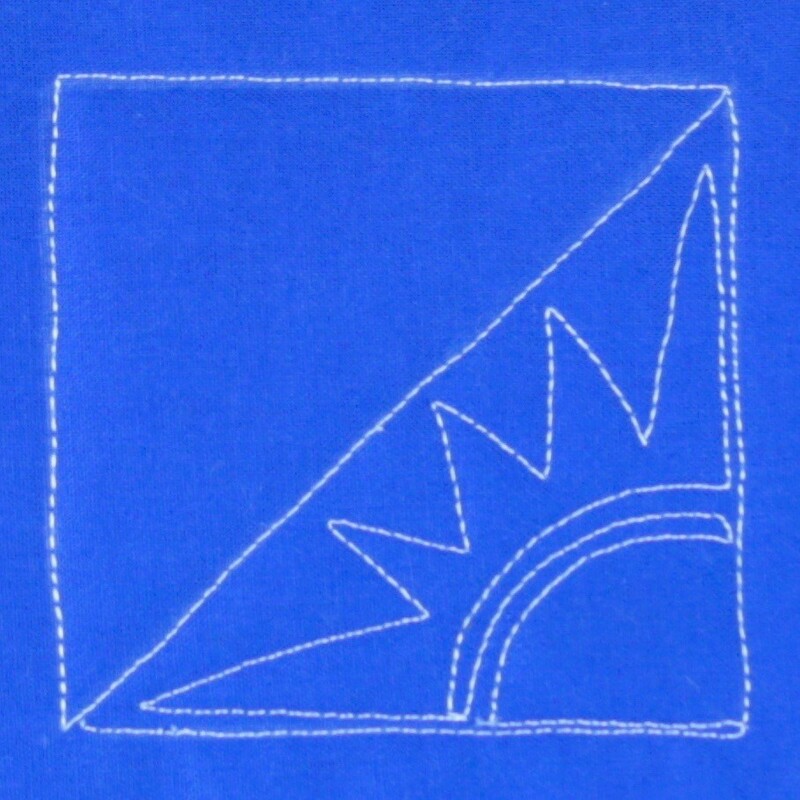 Begin by marking a square and dividing it in half to create two triangles. 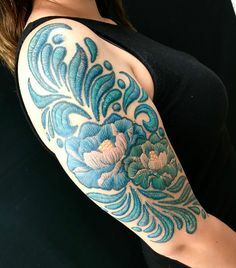 In the bottom right corner, stitch an arc. 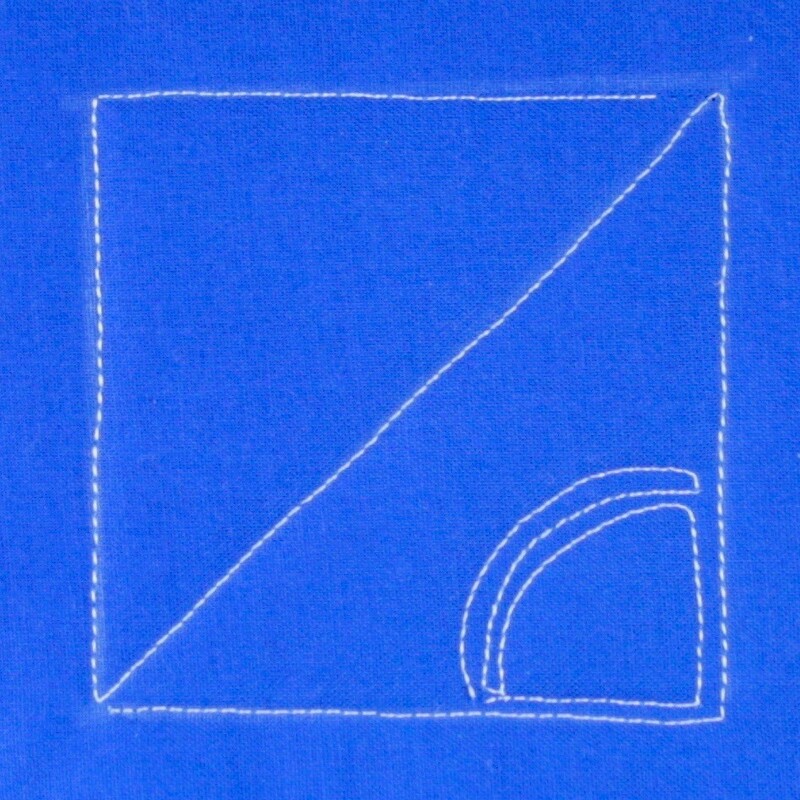 Closely echo stitch the arc twice. 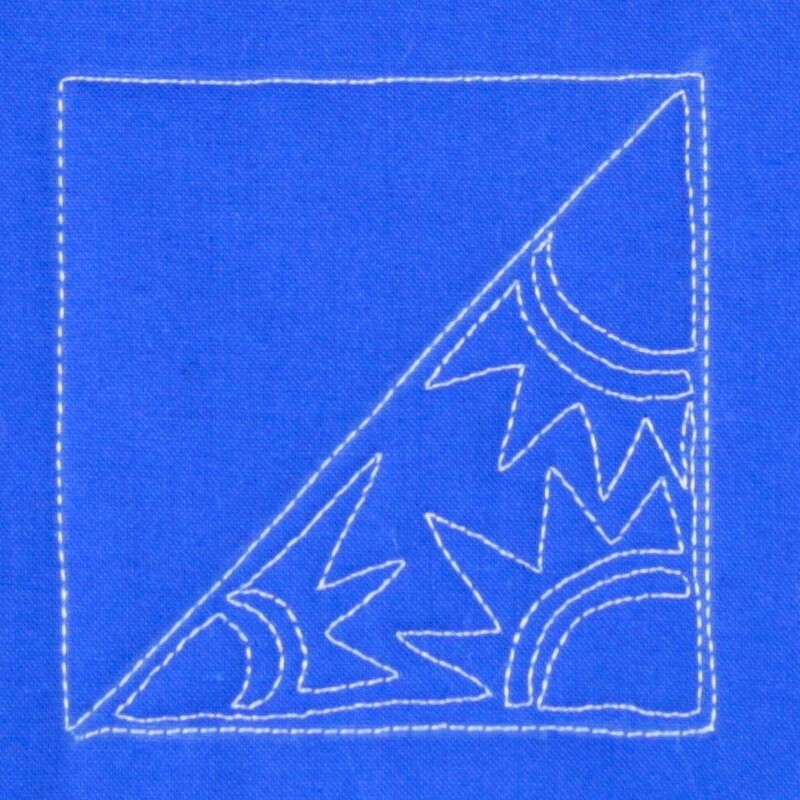 Stitch triangles around the arc. Continue adding triangles to create a quarter-star motif. 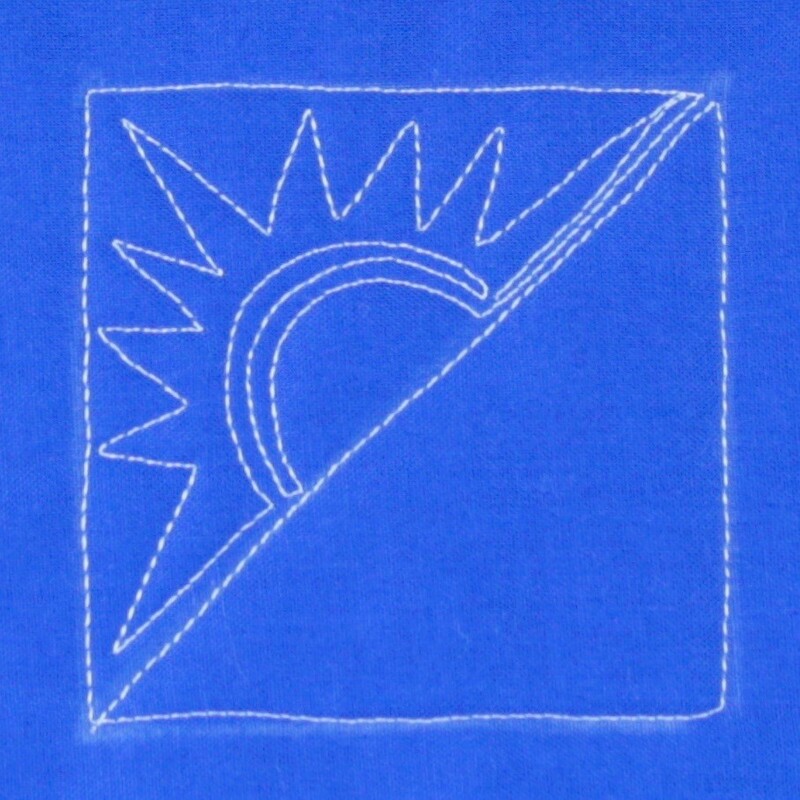 To vary the design, stitch the motif along the center line instead of the corner. Or add multiple stars within the triangle. To fill a square block, try different combinations of the stars. 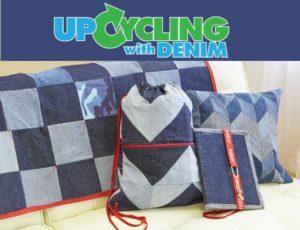 To create a wholecloth quilt, arrange the blocks in a grid composition with sashing between and a border. For the Sulky Stars Quilt, I arranged four inch blocks with 3/4 inch sashing and 1-1/2 inch border. 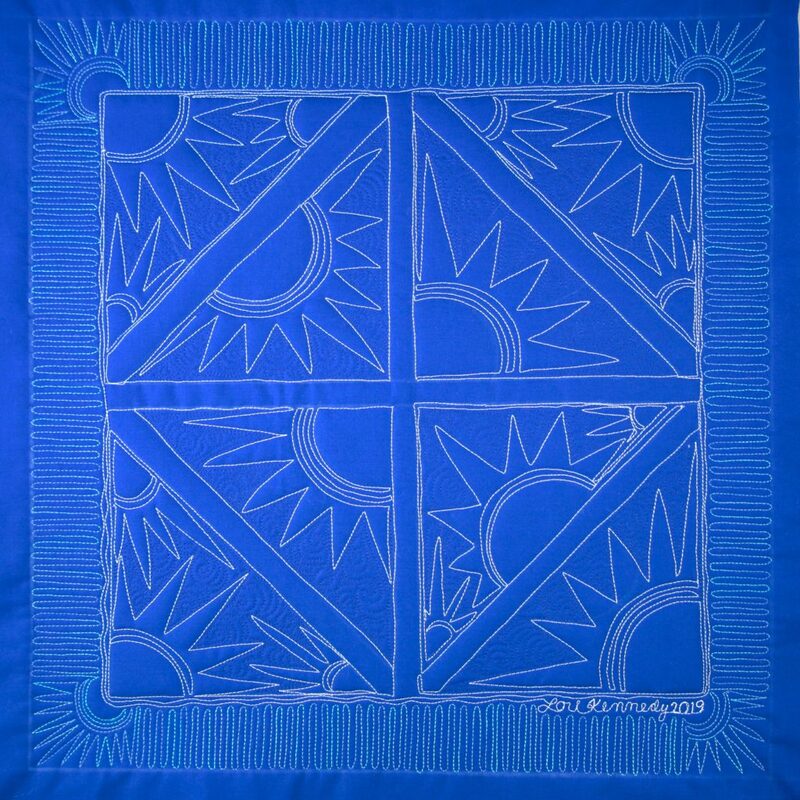 I stitched the Sulky Stars with white Poly Deco to create good contrast, then I filled in the background with blue Sulky 40 Wt. Rayon. 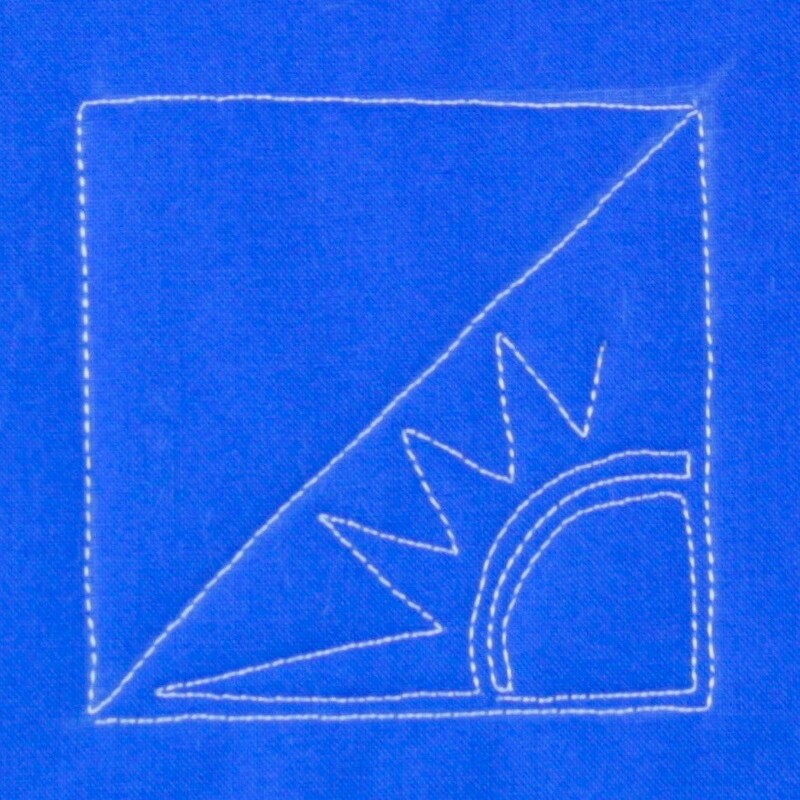 To create more depth, I added straight line stitching in the border using 30 Wt. Cotton Blendables (#4014). Have fun creating your own wholecloth quilt using this star quilt block tutorial! Please join Lori at www.lorikennedyquilts.com for more step-by-step tutorials and machine quilting tips and inspiration.